As a digital marketer, measuring the success of your work through SEO is essential. 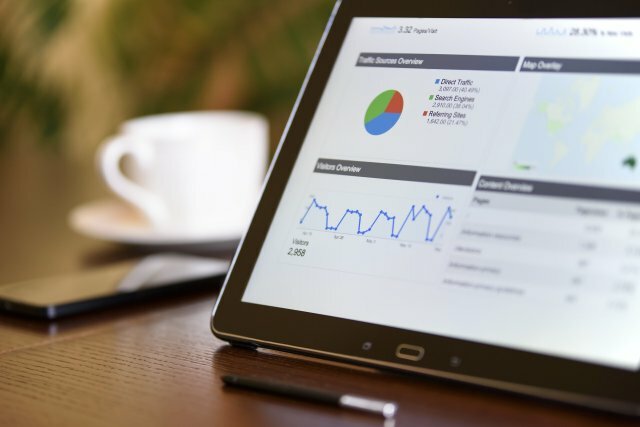 Fortunately, there are easy-to-use and understand online tools (like Google Analytics), which provide marketers with a chance to analyze and break down reports to monitor their SEO metrics. Organic traffic is the online traffic that you earn when you appear in search engine results pages without having to pay for placement. The reason why organic search engine traffic is number one on our SEO metric list is because you’ll want to see how many people are visiting your site as a result of your SEO strategy. Organic traffic represents over 60 percent of total traffic to your website. The bounce rate lets you know how many people have “bounced” away from your website after only viewing one page. Measured as a percentage of visitors, a lower percentage is actually better. When and if you notice your bounce rate is increasing, you may want to consider doing some work on your website to encourage visitors to stay on your site to improve your sites “stickiness.” This could include links to related posts or other items of interest. Conversion rate optimization is as important as it is because when you optimize your conversion rate, you can increase revenue per visitor, acquire more customers and ultimately, grow your business. Conversion rates measure if your marketing efforts are actually working and how many leads you are converting into sales. Exit pages are the last pages that people will visit before leaving your site. Tracking these pages is important because it’ll give you some insight as to where people are losing interest/jumping away from your website. From there, you’ll have to figure out why. Your goal as a digital marketer should be to ensure that visitors are not losing interest in your website, which is why it’s important to improve pages where you find people are exiting.